As we get more aware of the different new ways to curb wrinkles, acne and the variety of skin problems that exists, many a research are concluding that some of the best cures come from the food you eat. Here are a few things you need to add in your diet or rather, eat more for the healthiest skin. Sweet potatoes is a vitamin packed carbohydrate that releases sugar slowly over time and reduces stress that leads to break outs. It also contains beta-caronete that converts vitamin A when digested for better circulation of oxygen in the skin. The red pigment in tomatoes, lycopene assists blood circulation to the skin. They re also rich in Vitamin C for collagen that helps to keep the skin firm and young. Fill your plate with more kales for Vitamin A, B Complex, C, E and K, manganese, calcium, potassium, iron, magnesium, protein, folate and phosphorus for clear skin. Eat a portion of avocado every day for an even skin tone and texture. 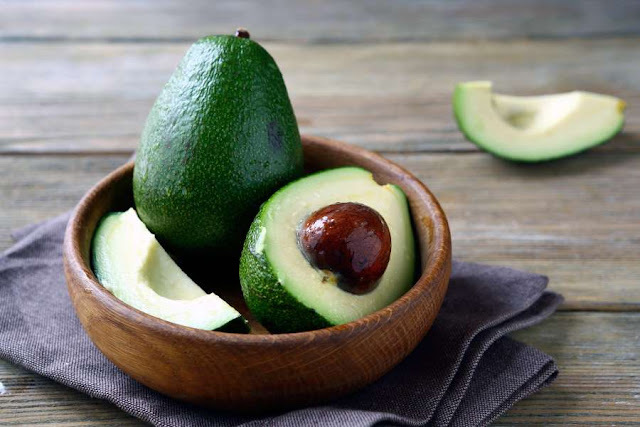 They are rich with Vitamin C, E and Avocado fat that stimulate the production of collagen that’s great for the skin. They are rich in selenium, zinc, proteins and vitamins that help grow smoother healthier skin. Besides Kale, another super beneficial vegetable is broccoli. They contain all the vitamins like kale, omega 3 fatty acids, calcium and folate to help healing the skin and proper cell functions. Legumes give offer proteins and energy that are vital to any healing process. They also contain a lot of fibre, vitamins and minerals that give nutrients and help your body detoxify. Garlic contains allicin, a chemical responsible for killing a lot of harmful bacteria and viruses in the body that cause acne and other skin infections. It is a natural anti-oxidant best taken raw in a salad or soaked in water. According to Glamour, Drinking anti-oxidant polyphenol-rich green tea will improve your skin and boost your beauty. Beyond amazing proteins, nuts contain copper, magnesium, manganese, potassium, calcium, iron for healthy skin and selenium and zinc that also help in increasing the number of germ fighting white blood cells in the body.